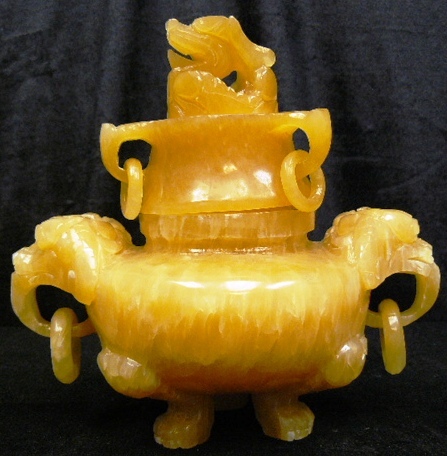 This jade incense burner is made from natural yellow jade. 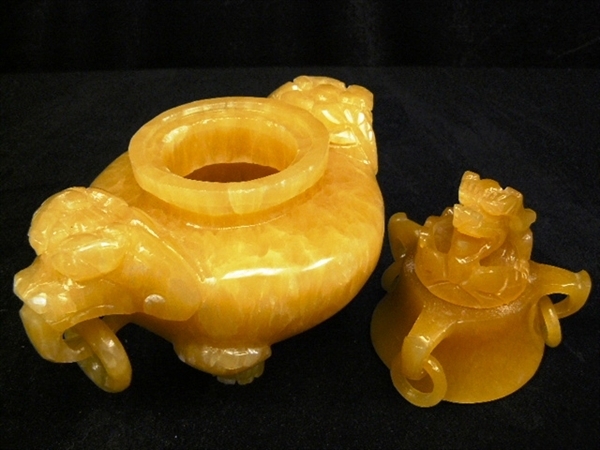 Yellow jade is now becoming rare because of over-mined. 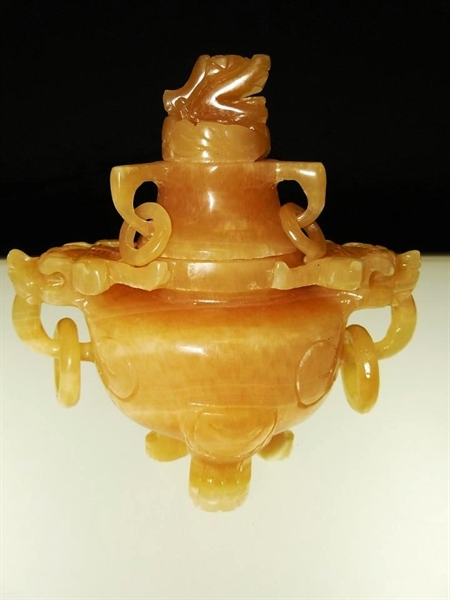 There is a dragon head carved on the lid and the body. 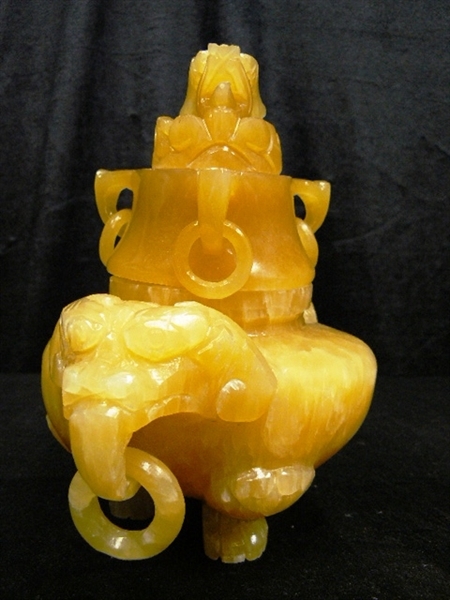 The lid can be removed. Very detailed.